This historic church of St Martin-in-the-Fields overlooking Trafalgar Square was built in 1726 and is the best known work of Scottish architect James Gibbs whose first public building was St Mary-le-Strand. The Palladian features of St Martin-in-the-Fields reveal the influence of Gibbs' training under the leading Roman architect of the time, Carlo Fontana. The church combines several roles: religious, charitable and musical with candle-lit concerts held from Thursday to Saturday, and free lunchtime recitals on Mondays, Tuesdays and Fridays. It also houses a gift shop, brass rubbing centre, art gallery and a courtyard as well as a glorious eaterie underneath the church - the atmospheric Cafe in the Crypt - where traditional roasts are served on a Sunday and jazz concerts take place on Wednesday nights. All profits go to support the work of the church, with its particular ministry to the homeless. Peter G Dyson conducts Handel's Messiah Parts One, Two and Three with the English Chamber Choir, soprano Elizabeth Weisberg, mezzo Ciara Hendrick, tenor Peter Davoren and bass Philip Tebb. What are the best dining options near St Martin-in-the-Fields London? St Martin-in-the-Fields gyms, sporting activities, health & beauty and fitness. The best pubs near London St Martin-in-the-Fields. 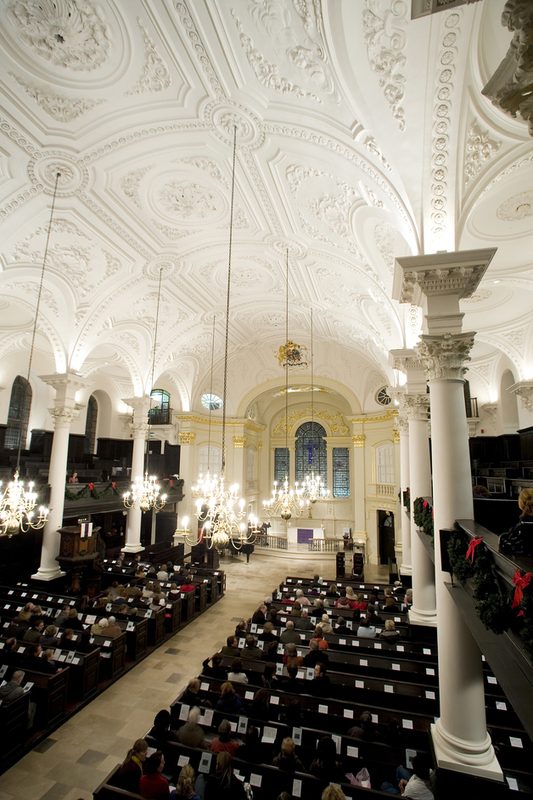 St Martin-in-the-Fields clubs, bars, cabaret nights, casinos and interesting nightlife. Where to have your meeting, conference, exhibition, private dining or training course near St Martin-in-the-Fields. From cheap budget accommodation to luxury 5 star hotels see our discounts for St Martin-in-the-Fields hotels, including Amba Hotel Charing Cross from 98% off.